If you like this activity make sure that you bookmark this page or pin an image for later so you don’t forget about it. 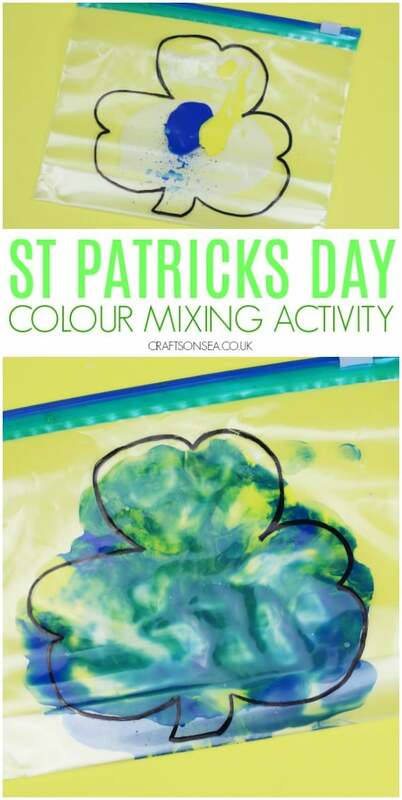 Plus keep reading for St Patrick’s Day books for kids and more St Patrick’s Day crafts and activities as well as this tutorial. I’ve been trying to cut down on my use of plastic recently but we were given some things in ziplock bags so I thought I might as well try and get a second use out of them! 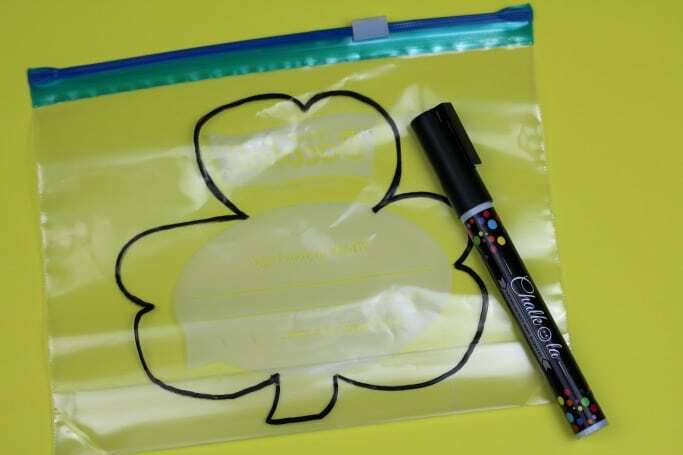 The shamrock shape was drawn on with a Chalkola pen although I’ve made similar using Sharpie pens previously. Normal felt tip pens tend not to show very well on materials like this although of course you are welcome to try! Next is do add a bit of blue and yellow paint, I found that you will need a bit more yellow than blue for this. 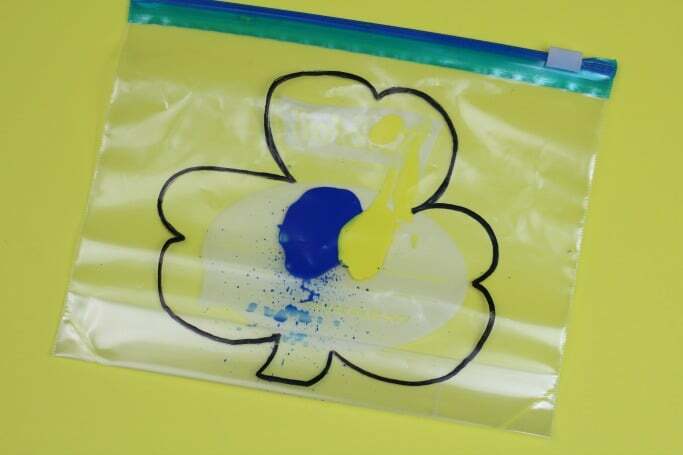 Once you have added your paint make sure that you close the bag! For younger kids you may find that you wish to sellotape the bag closed additionally. My daughter who is four played with this and was fine just being told not to open it but I’m not sure she would always be able to resist opening it for a play! 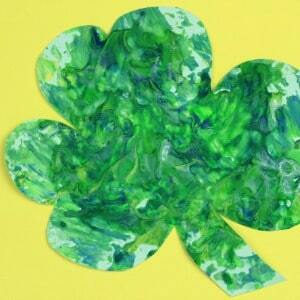 Mix the two colours together until your shamrock turns green. 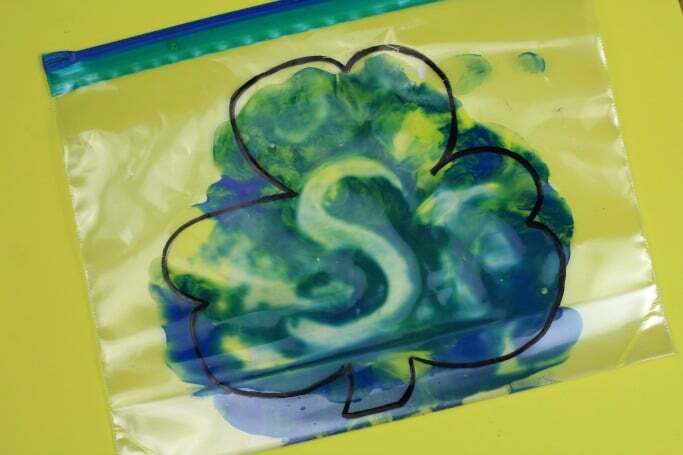 As well as teaching about colour mixing using a squish bag like this can be a good way to practice mark making or letter formation – how about a letter S for shamrock? St Patrick’s Day is a great time for fun celebrations with the kids, why not continue their interest in the celebrations by sharing a story with your children? 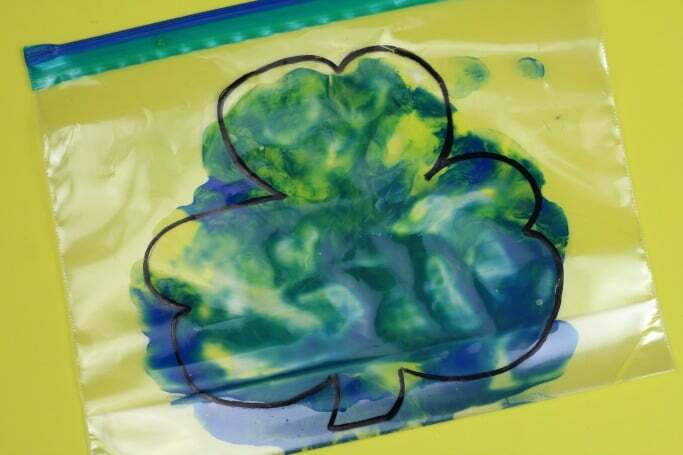 Make a simple foil painted shamrock with your kids. 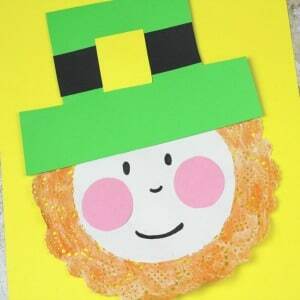 Or how about this leprechaun craft made with a doily! 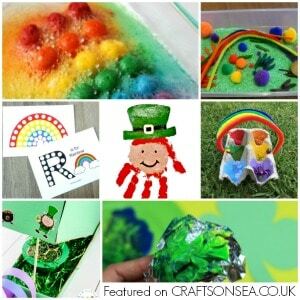 Finally for tons of simple ideas check out our round up of St Patrick’s Day activities for toddlers.